Less than two months before the United Kingdom is due by law to leave the EU, lawmakers are still wrestling with the Ireland border question. 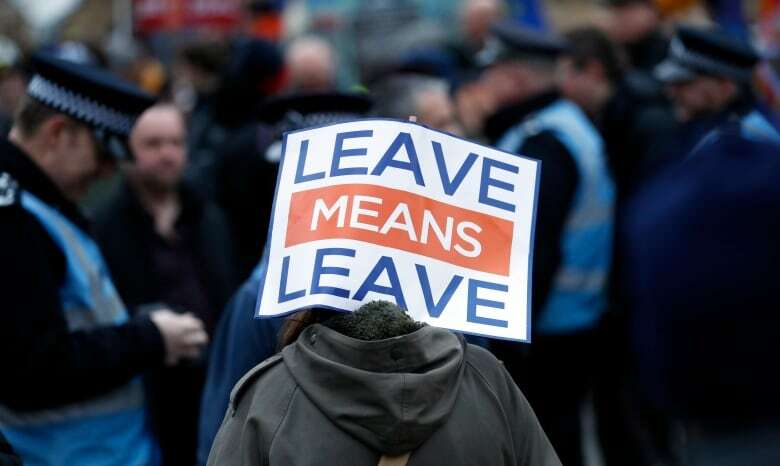 Leaders across the European Union offered a united chorus of "no" on Wednesday to Britain's belated bid to negotiate changes to the Brexit divorce deal, with one official calling on British lawmakers to stop bickering and work out a cross-party approach. In London, Prime Minister Theresa May acknowledged that her government hasn't decided exactly how it will try to change the deal to address British lawmakers' concerns about the Irish border — all this with Britain headed for the exit in less than two months, on March 29. Buoyed by winning a vote in Parliament, May has vowed to secure "legally binding changes" to the withdrawal agreement. British lawmakers voted Tuesday to send May back to Brussels seeking to replace an Irish border provision in the deal with "alternative arrangements," ignoring EU warnings that the agreement cannot be altered. Jean-Claude Juncker, chief of the EU's executive arm, said Tuesday's vote "has increased the risk of a disorderly withdrawal of the United Kingdom," from the EU. Irish Prime Minister Leo Varadkar said, "We've been down that track before and I don't believe that such alternative arrangements exist." German government spokesperson Steffen Seibert said "opening up the withdrawal agreement is not on the agenda." 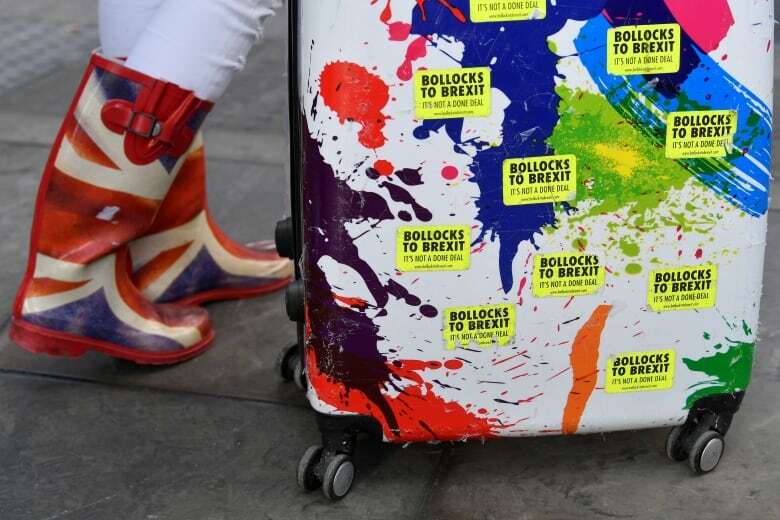 Much of the opposition centres on a border measure known as the "backstop," a safeguard mechanism would keep the U.K. in a customs union with the EU to remove the need for checks along the border between Northern Ireland, which is part of the U.K., and EU member Republic of Ireland after Brexit. May conceded that her government hadn't settled on a way to replace the backstop, telling lawmakers that "there are a number of proposals for how that could be done." 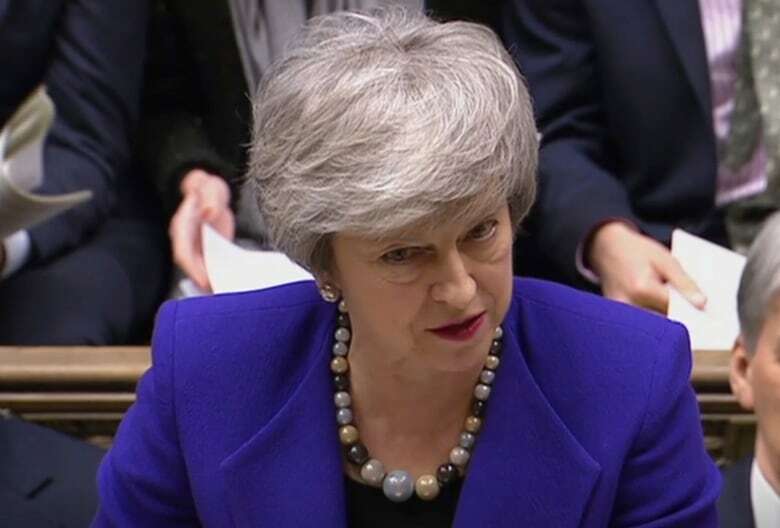 She said measures under consideration included a unilateral exit mechanism from the backstop for Britain, a time limit to the backstop and "mutual recognition and trusted trader schemes." 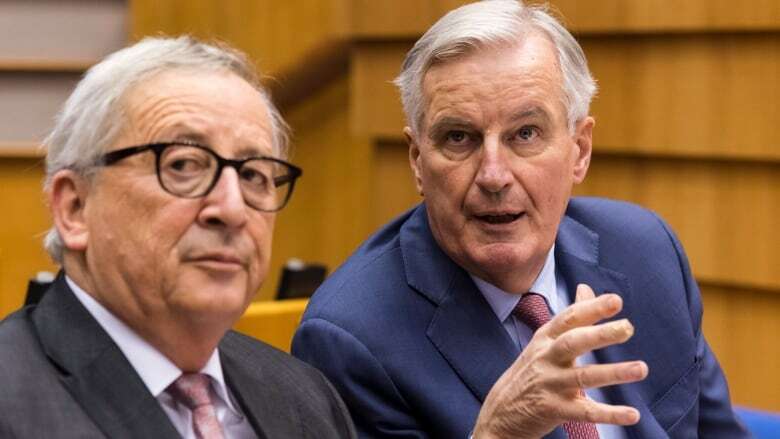 Chief EU Brexit negotiator Michel Barnier said, "Frankly, no one from either side is able to say precisely, in a clear way, what the nature of these alternative arrangements would be, whether they would be workable and effectively fulfil the aims of the backstop." The EU parliament's point-man on Brexit, Guy Verhofstadt, underlined that nobody in Europe wants to use the backstop, but that it's "needed to be 100 per cent sure that there is no border between Northern Ireland and the Irish republic." "If the future relationship is, for example, a customs union that makes it completely different," Verhofstadt told reporters.